In this case, Frederike, who has a passion for horses, wanted a beach inspired room. 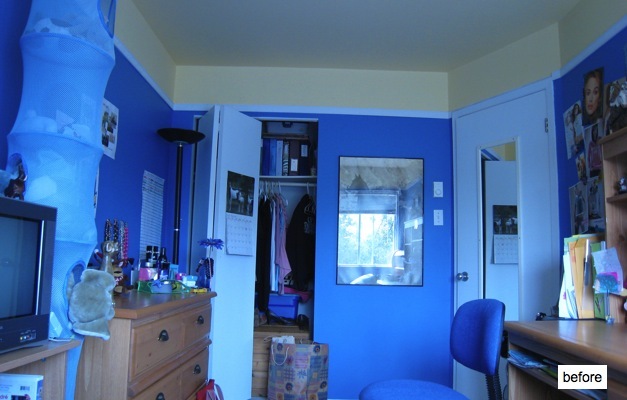 Her room was redesigned with a softer color palette, reminiscent of the beach, with a deck, a small office in the existing closet that she wasn’t really using and a custom horse-shaped storage unit for her things. A unique tile floor with water motifs was also added to the room, further emphasising the beach theme.